Dissatisfaction is the first step to change? Summertime is definitely one of the greatest times of the year to make a health and wellness change. Whether you want to boost energy, lose weight, improve skin or build muscle - the key is to incorporate the dietary and physical steps that will help you feel your best. If you feel you cannot do all at once - no problem at all! Baby steps towards health (drinking more water, getting a better nights sleep, eating less sugar) all pay off. At Shulman Weight Loss, we have clients that range from ages 18-91! This is a true testament that you can improve your health and the way you feel at any age, any stage. So whether you drop gluten, eat more greens, break a sweat or do a little more deep breathing (and check out our app recommendation below! )- the take home message for this month is do something a little different and see how you feel. Try to push pass the initial resistance and take your health up a tiny little notch each day. We have seen some phenomenal transformations at Shulman Weight Loss lately! 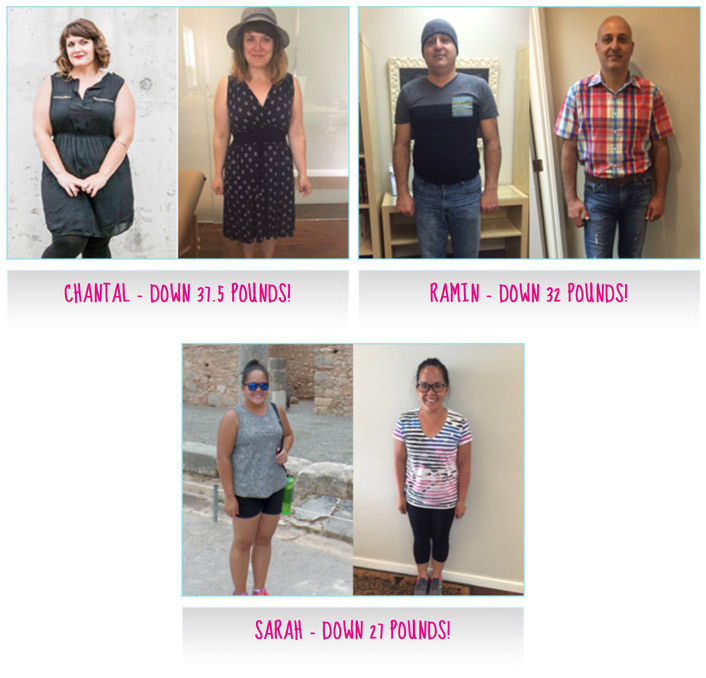 From 50 pounds (or more) lost to inches down and energy dramatically up - seeing someone re-gain their health and vitality is a thrill each and every time. If you are ready for a change and want to take back control of your health and weight, call us. Shulman Weight Loss is dedicated to taking care of each and every one of our clients in a natural, hormonally balanced and personalized way. All you have to do is call and book in for a free weight loss assessment. I cant wait to meet you! Kombucha is an ancient fermented tea beverage full of probiotics, B vitamins and anti-oxidants that has recently made a come back! Bubbly, refreshing and a natural energy booster GT's kombucha is available in most health food stores in a variety of flavors. 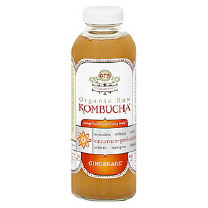 The freshly pressed ginger found in GT's gingerade gives this Kombucha a whole other element. With only 4g of sugar, this drink makes a great alternative to pop and juices. Looking for the perfect summer bag for your cottage or road trips... look no further! The new colors by The Dialogue Projects are now available offering roomy and sturdy (yet chic) space for all your goodies. 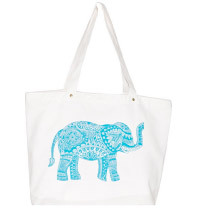 A portion of every bag sold is donated to various charities to help reduce the stigma surrounding mental illness. 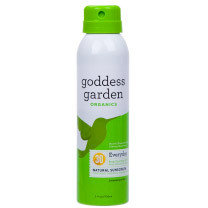 Goodess Garden natural sunscreen uses naturally occurring minerals and organic, plant-based ingredients that provide powerful broad-spectrum sun protection for you and your family. Made with nourishing ingredients including red raspberry, coconut oil and green tea - this natural sunscreen leaves your skin feeling smooth and silky. The easy-to-apply spray format is non-greasy, biodegradable and is certified organic safe. Good for you and the environment! I have said it before and I will say it again fat does not make you fat - so eat your nuts and seeds! 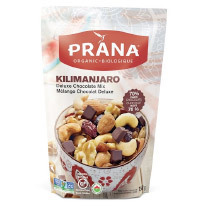 One of the best snack foods around filled with nuts, seeds and a little chocolate is Prana's Kilimanjoro mix which contains 100% vegan, organic and gluten free almonds, walnuts, cashews, raisins cranberries and chocolate chips (70% chocolate), One small handful does the trick for hunger and sugar cravings. Can you say yum? Available where most grocery food items are sold. 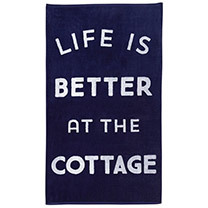 This plush, cozy beach towel is available at Indigo and makes the perfect gift to give this summer. Made with cotton terry material - this towel gets softer with each wash.
Place mango, ice, yogurt, protein powder, vanilla extract, milk, and water in a blender. Blend for 30 seconds. 3. Remove from blender, and add in chia seeds and coconut, stir with a spoon and enjoy! 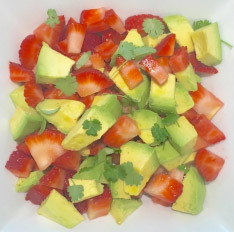 Combine all ingredients into bowl and mix. Serve with flaxseed tortilla chips. Pour the milk into a small to medium-sized saucepan. Add vanilla into milk. Warm the milk over medium-heat until it comes to a gentle boil. Add the flax, chia, and hemp seeds along with the coconut, and stir to combine. Reduce the heat to simmer and stir over low heat until porridge thickens. Season with a small pinch of salt. Serve immediately with drizzled honey on top. In a bowl mix turkey, feta, oregano and pepper to taste. Form into 4 sliders. Lightly oil grate and place patty onto grill. Cook for about 10 minutes or until turkey is cooked through, flipping half way through. Watermelon - High in water, antioxidants and vitamin C.
Celery - Contains 95% water, making it the perfect veggie for your dips. Cucumber - 1 cup of sliced cucumber contains a whopping 100mL and offer anti-inflammatory properties. Strawberries - Naturally sweet, high in vitamin C and low in calories. Lettuce - A great grain free option for wraps and burgers. No time to meditate but looking for a little stress relief? If so, download the app Headspace to help guide you thru 10 simple (yet effective) minutes of mediation each and every day. Headspace will show you how to decrease anxiety and to apply mindfulness to your day. With over 5 million current users, Headspace is helping people enjoy a healthier and happier life.